Working out can get a little daunting at times. Being creative with your workout and your routines can help keep you motivated. 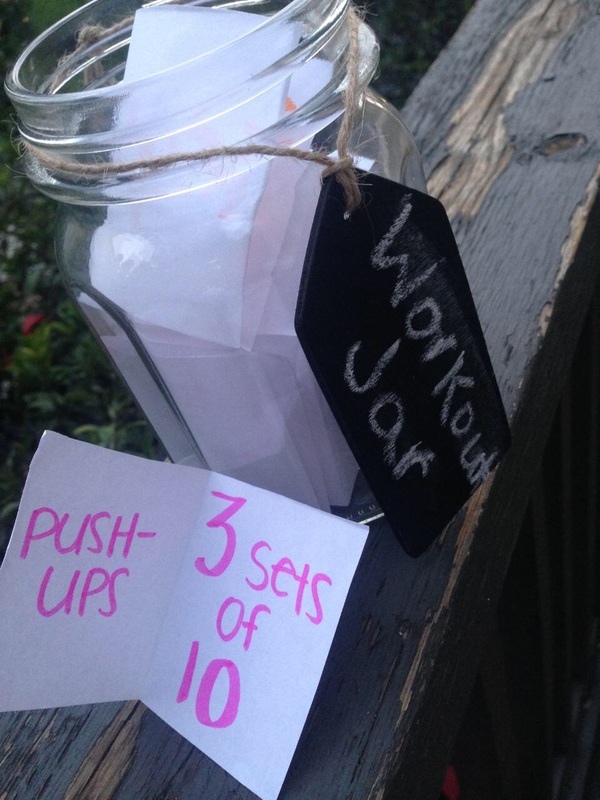 Having a workout jar is a fun and creative way to get your home workout in. All you need is an old jar, a few pieces of print paper and a highlighter.Cut paper into small square pieces and write a few of your best workout excises on each piece. Before working out, randomly pick 5 or 6 pieces of paper or however many you need for your allotted workout time. Now your good to go to get your workout on. Share some of the ways you stay creative with your workout routine.